“What is new in GATE 2019 examination ?? Just after releasing GATE 2019 examination details officially. You all must have this kind of questions in your mind nowadays. 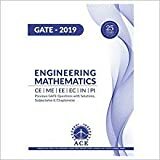 Now officially Graduate Aptitude Test in Engineering(GATE) 2019 organizing institute is Indian Institute of Technology, Madras (IITM). As well as knows GATE exam score card is use to get admission to postgraduate courses (Master’s and Doctoral) and it also give an opportunity to get scholarships from MHRD and other government scholarships or assistantships in engineering / technology / architecture / science. GATE 2019 examinations for all the papers will be conducted as Computer Based Tests(CBT) only. Submission of online application form will be start from 1st September, 2018. For detailed information about the Graduate Aptitude Test in Engineering (GATE 2019) important dates you may visit one of the page of this blog designed for GATE 2019 related important dates. For paper codes AE, AG, BT, CE, CH, CS, EC, EE, IN, ME, MN, MT, PI, TF and XE. For paper codes AR, CY, EY, GG, MA, PH, ST and XL. (1) Multiple Choice Questions (MCQ) carrying 1 or 2 marks each in all papers and sections. These questions are objective in nature, and each will have a choice of four answers, out of which the candidate has to mark the correct answer(s). (2) Numerical Answer Questions of 1 or 2 marks each in all papers and sections. For these questions the answer is a real number, to be entered by the candidate using the virtual keypad. No choices will be shown for this type of questions. There are some changes in GATE 2019 syllabus of various subject. So, atleast once check GATE 2019 syllabus of your subject. You may compare GATE 2019 syllabus with GATE 2018 syllabus in order to know the difference. 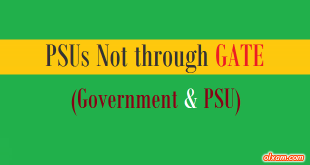 If you find any kind of difference in GATE 2019 syllabus of any subject after comparing please put some details here so that other candidates of same branch/stream may use that information in their preparation. 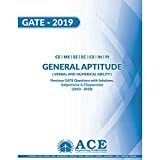 GATE office this year introduces a new papes as per requirement of present competitive environment and for providing individual importance of this new paper. Earlier GATE paper was conducted in 23 papers this years there are 24 different papers. As many candidates asked me that would Statistics be added in GATE 2019 ? Here is the answer, Yes. This time GATE office added Statistics separately in GATE subject list for GATE 2019 examination.